Yet another testimony to the culinary prowess of the Odia woman of yore, this recipe is literally making the best out of waste. 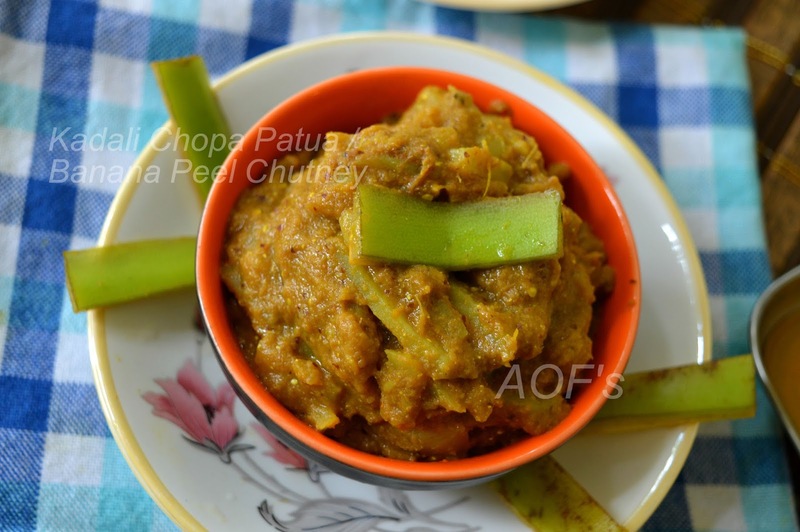 Much before the Masterchefs of the tech savy world took it upon themselves to invent a gastronomic masterpiece out of kitchen wastage (peels, seeds, leaves, etc), somebody had already incorporated the idea in a lip smacking dish. 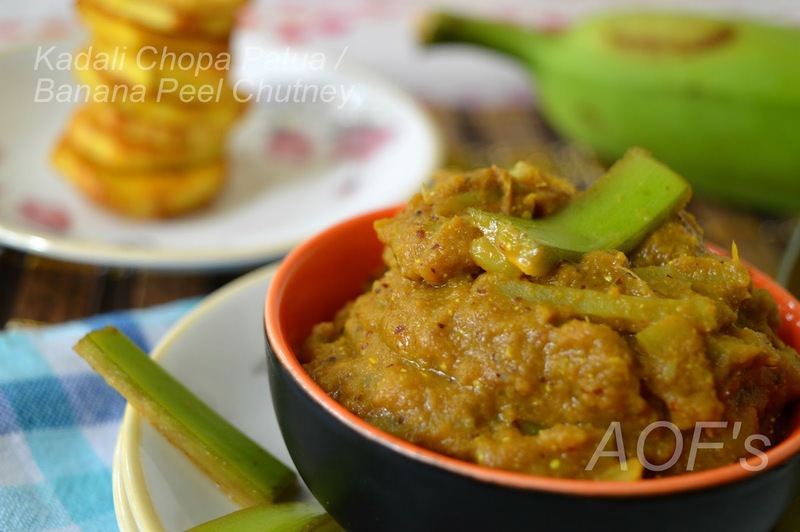 Today's recipe is a simple yet amazing dish made from the discarded peel of the raw bananas. I remember tasting this heavenly dish prepared by my grandma's friend who used to make it on a 'sila' or 'silbatta'. She used to come to our house to pluck the green bananas right from the small grove in our backyard and in return, we got to sample some of her yummy creations. It was my Mom who learnt this recipe from her. Along with the peels, one can also use the very small bananas that are right at the bottom of the bunch. It is tough to find such fresh vegetables when one does not possess a garden or a farm. But I prefer buying the green bananas from the local vendors instead of the supermarkets for best results. Try buying ones that have a uniform green color and are free from black spots or markings. Preparation - Peel the banana and soak the peels in a bowl of water to which a little turmeric has been added. Grind the peel along with the mustard seeds, green chili and garlic into a smooth paste. Peel and chop the potato into tin long pieces. Mix the banana peel paste, chopped potato, mustard oil, salt and turmeric in a thick bottomed saucepan. Add about 1/4 cup water to it. Cooking - Put the saucepan on a low flame and let it cook till the potatoes turn mushy. Keep stirring at regular intervals so that contents at the bottom do not get burnt. Serve at room temperature with white rice and dal . Or enjoy along with mudhi/bhel !! The peel! How ingenious. I'm sure you'll hear when I try this out. Banana is really one of those nose-to-tail useable plants, isn't it. Amazing. Really..it is true !! The stem, fruit (both unripened and ripe), flowers and even the peel everything is edible :). Wud love to hear ur opinion on this dish ! Easy and seems to be delicious. Its true that people of our Grandma's era knew lots of delicious and tasty preparations using minimum ingredients.